Obtaining lawful permanent resident status (also known as the "green card") is the most important step in the realization of a life in America. 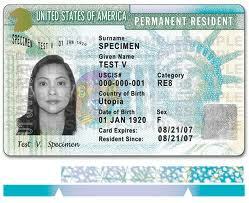 Lawful permanent resident status allows an individual to live and work permanently in the United States. There are several ways to go about obtaining a "green card." The Immigration laws of the United States create an intricate lattice of "preferences," utilization of which will allow an employer to supplement his workforce with foreign employees. The employment-based preferences allow many individuals --aliens of extraordinary ability, multinational executives and managers, members of the professions, those aliens who hold degrees or possess experience as a skilled worker, or even unskilled workers -- to immigrate to the United States. Ferro & Cuccia has represented many clients in the filing and adjudication of Employment-Based Visa Petitions including the filing of PERM applications. Ferro & Cuccia has assisted employers in the sponsorship of Business Executives, Accountants, Engineers, Management Information Systems Specialists, Computer Programmers, Executive Chefs and Cooks, Medical and Dental Experts and various managers such as Salon Managers, Glasscutter Managers and Cosmetologist Managers. Further, Ferro & Cuccia has represented Nannies, Housekeepers and other Household Workers. In the event that your I-140 Petition or I-485 Application to Adjust Status is denied, Ferro & Cuccia can represent you in your appeal. Ferro & Cuccia has represented a variety of clientele in the filing and adjudication of Family-Based Visa Petitions. We have assisted in the re-unification of families from all corners of the globe. Ferro & Cuccia stands ready to assist in the sponsorship of husbands, wives, children, parents and siblings. If your I-130 Petition for Alien Relative or I-485 Application to Adjust Status is denied, Ferro & Cuccia can represent you in your appeal. In certain situations, Ferro & Cuccia can represent you in the immigration court and federal district court to seek a reversal of USCIS's adverse decisions. If you received a conditional "green card" on the basis of your marriage to a U.S. citizen or lawful permanent residence, your status is only valid for two years after the issuance of the "green card." We can help you with the Form I-751 Petition to Remove Conditions on Residence. The Form I-360 is the petition used to file for immigration benefits for certain types of special immigrants, such as abused spouses, juveniles, and religious workers. Persons who are fleeing persecution and torture in their native lands can apply for asylum once they reach the United States. The I-589 Application for Asylum can be filed affirmatively with USCIS, or defensively with the Immigration Courts. If you are successful in obtaining asylum, you can petition for your relatives to join you in the United States.